Festival of Children kicked off its 17th anniversary with a celebration Aug. 29 at South Coast Plaza’s Garden Terrace. 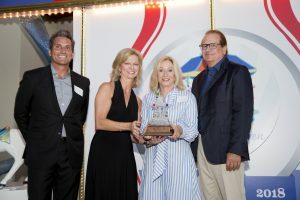 “It’s a fun evening all about celebrating our charities and the great work they do in our communities,” said the organization’s founder Sandy Segerstrom Daniels. 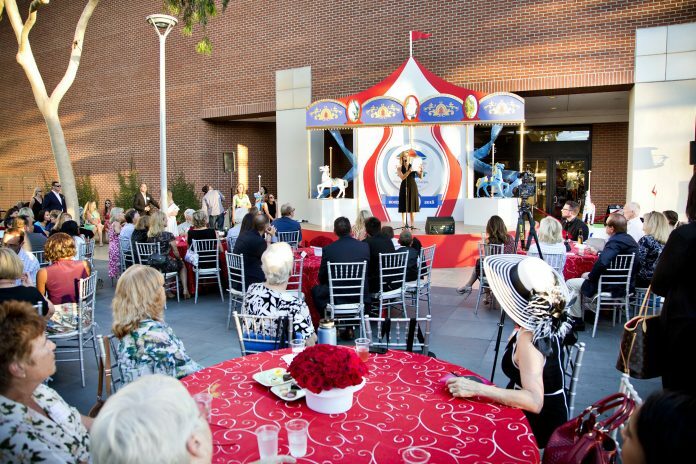 With hits from artists such as Michael Jackson playing in the background, the terrace was completely transformed with painted carousel horses, red and white tables topped with roses, and a stage in the center of it all. Every weekend during the month of September, which is National Child Awareness Month, the Festival of Children will host events and activities at South Coast Plaza’s Carousel Court, Jewel Court, and South Coast Plaza West. “We have a new aerial act and a jiujitsu group,” said Segerstrom Daniels. Perhaps most exciting, local group Voices of Hope Children’s Choir from “America’s Got Talent” will perform unless they win the show. Stay tuned!